In this post, learn the basics of the WordPress Admin UI and how to integrate your plugin or theme interface into it. At the end of the post, you will learn how to create WordPress like notices, tabs, meta boxes, admin tables and much more. In order for us to play around in the WordPress admin, we need to make our own space. So for the purpose of this tutorial we are going to create an admin page where we will be playing with the different WordPress Admin UI goodies. With that said, let’s create a quick plugin. First create a folder called mpl-admin-ui then within that folder a file called mpl-admin-ui.php then add the following snippet to that file. This little snippet simply creates a new option page for us and the function mpl_admin_page_setup loads a file called admin.php where we will be entering all our UI work, so let’s create the file. Within the our plugin folder create a sub folder called template and create the file admin.php. Once complete, you folder structure should look the following. Notice that we linked each tab to the current page and then we added an additional paramater for the url. We are not going to make use of that by making the content of our playground respond to the selected tab. For our little plugin, we are going to use a switch statement for displaying tab content. Additionally, by adding the hook mpl_admin_ui_extend we will be able to add additional tab content from another plugin without touching our core plugin. So, now that we finally have our playground setup, let’s get started! The new snippet added makes a request to the tabs and we use count to get the total amount of tabs. Next we use the count in a span tags then appended it to our menu title. If you have ever saved any settings in the WordPress Admin, you will notice that in most cases there is some sort of notice message that is displayed. The message usually states whether the previous action was saved or failed while some notices for other purposes such as warnings. Let’s break this down and create our own notices. 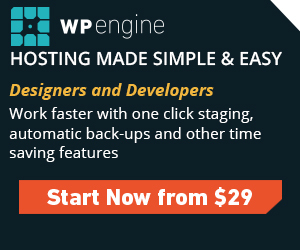 As mentioned before, our WordPress Admin UI plugin will be extendable. So, quickly I will demonstrate how we will be able to extend this. We began this journey, trying to better understand the WordPress Admin UI and in the end, we have covered several topics. The topics we covered are Creating an Admin Menu Page, Extending Admin Menu Page, Customizing Admin Menu Icons and Using Dashicons. However, the fun does not end there, in the upcoming tutorials we are going to extend what we’ve learn here and implement them in full functioning applications.